Since we spend most of our waking hours at work, it is important to try and make your workplace a healthy environment. There are many factors in an office environment that can contribute to stress and bad health. Some of these might not be as obvious as if you were working on a construction site but there can be hazards to your health even in a quiet office environment. Many occupations deliver stress, unhealthy habits and even bad posture that can all have negative effects on your health. No matter what kind of environment you work in, there are a number of activities that can make your office better for your health. If you work at a desk for most of the day, like the majority of us do, then standing up more often or at regular intervals could make your workplace a healthier environment. 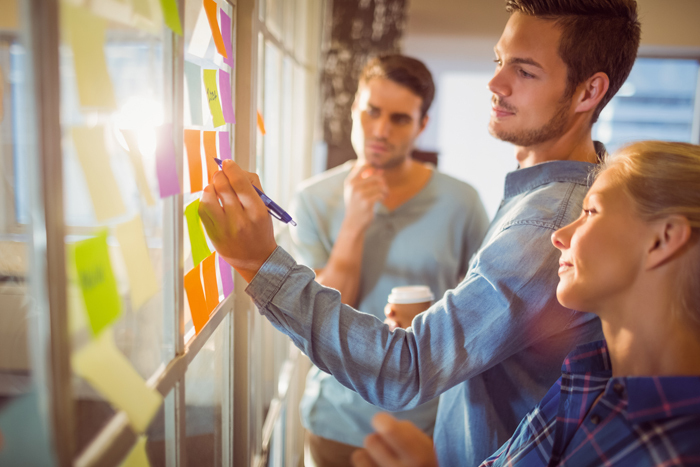 Not only does it have health benefits for yourself but it can also encourage others to do the same and even improve creativity and communication in your team. Stand-up meetings can be a great idea of something to do on a regular basis. Bring nature into your office if you haven’t done so already and add some potted plants. It can be great for the health and morale of people in the office and makes a nice touch to the environment. They could inspire creativity and bring a feeling of wellness to the office. Some plants have also been proven to improve the air quality in your office. But try to avoid anything that flowers with a strong scent. A good way to relieve stress and make the office environment healthier is to allow people to bring in more personal items and decoration for their desk space. A few personal items such as pictures or personal keepsakes can make people feel more relaxed and happier in their work environment, which leads to better productivity. But do remember that too many items can cause a cluttered space and lead to more stress for other colleagues. Smells and fragrances can lift the spirits in an office and make it a more enjoyable environment. Don’t go for aromas that are too overbearing though, as this can often have the opposite effect. Avoid using anything like candles and air fresheners and rather opt for more natural solutions, such as essential oils and reed diffusers. This is something that is particularly important and is something that a lot of us are often guilty of. But actually getting away from your desk for an hour at lunch can lead to a much healthier and happier environment. 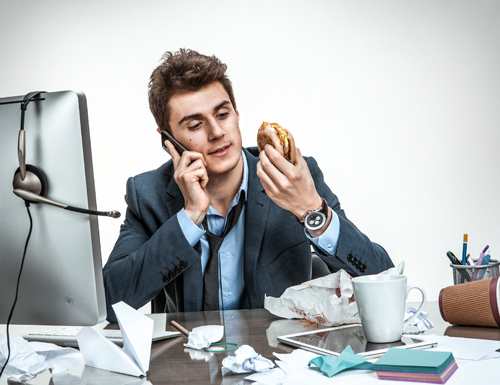 By leaving your desk to eat it means that you are actually away from your main work environment and more likely to switch off for at least an hour of the day. It can also lead to more interaction between the team .